A lovely Victorian Cottage designed in the traditional fantasyland architectural style typical of those located at Martha's Vineyard. The covered wrap-around porch with its stylish railing, gingerbread trim and the icicles roof trim enhance the ambiance of the New England island charm of this structure. 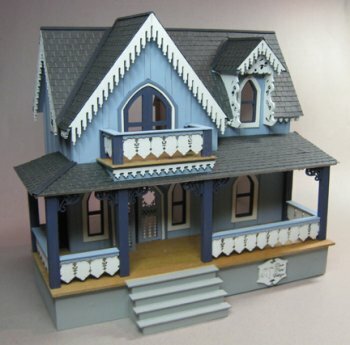 The laser cut kit comes with everything you need to complete it…including terra cotta colored shingles, windows, doors, porch flooring, and all the exterior gingerbread trim and railings. The only thing you need to provide is flooring for the interior, tools, paint and glue. 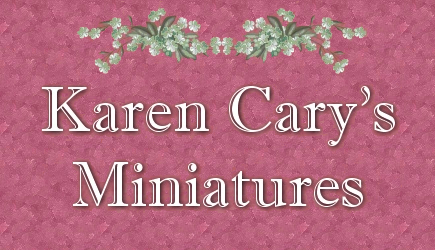 All pieces are pre-cut by a laser. 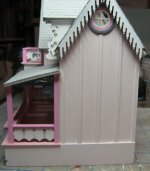 This cottage has many steps to complete it but you'll find it is well worth the effort to create your own personal fantasy cottage. 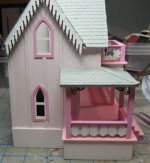 The cottage is 8-5/8" long x 7-1/2" tall x 5-1/2" deep plus add another 1" for the steps. Please note that the picture shows black shingles but the kit comes with terra colored brownish shingles that can be painted any color you wish.